Green Modern Kits News On A New Modern Prefab Built In Northeast! I am so thrilled to begin sharing with you the progress of the passive solar modern prefab from our Green Cabin Kits modern prefab line being built in the northeast! 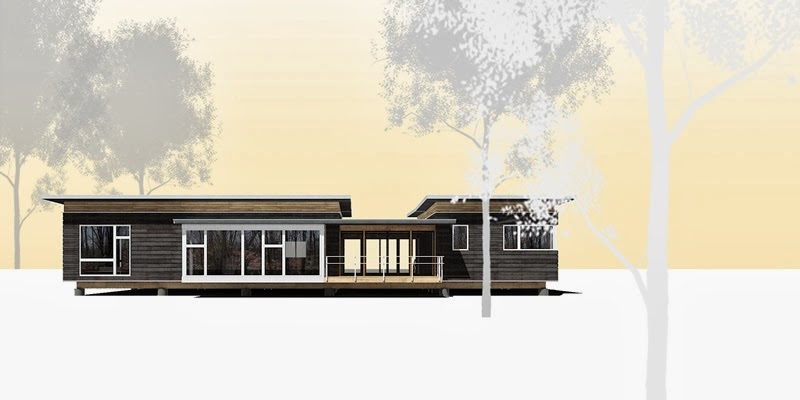 This client is incredibly creative with impeccable modern taste, is passionate about the environment, and thoughtful in every aspect of her home so I am very excited to share with you her modern prefab house as it is constructed, as she sends updates. Note: This client is a *very* busy woman who is involved with environmental advocacy. Because of her schedule, she tells me her missives will be sporadic, but I hope not- I can't wait to see what she does! To follow and view this modern prefab home in the upper northeast project, click here!